One of our favorite fall activities is apple picking. It’s become quite the little fall tradition in our house ever since our first trip to the apple farm when my son was in preschool. Now it’s a yearly tradition that we all look forward to. I’m not the biggest fan caramel apples on a stick but I love caramel and apples together. I’m more of a dip my apple slices in caramel kind of gal. 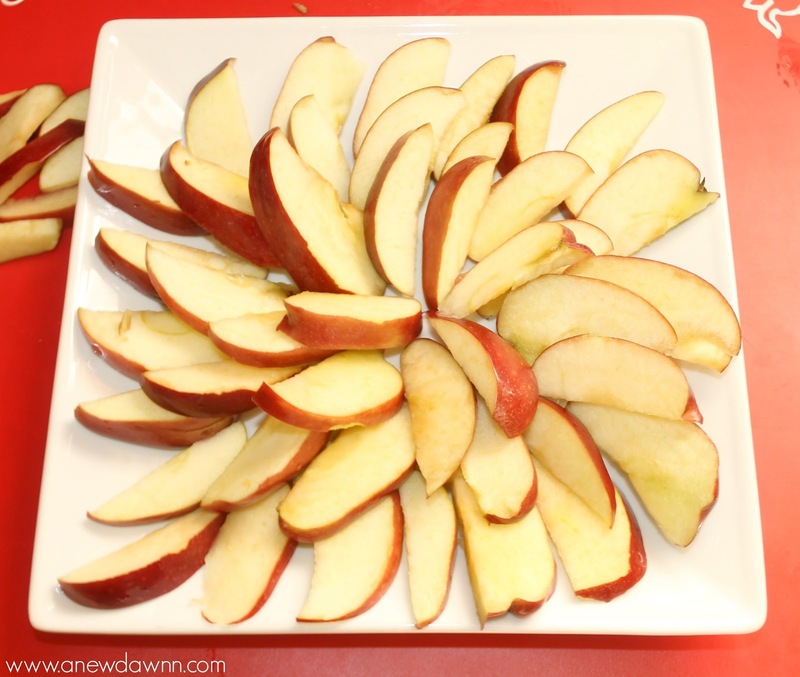 Plus, apple slices are just easier for the kids to eat so it’s no surprise these were such a big hit in my house. 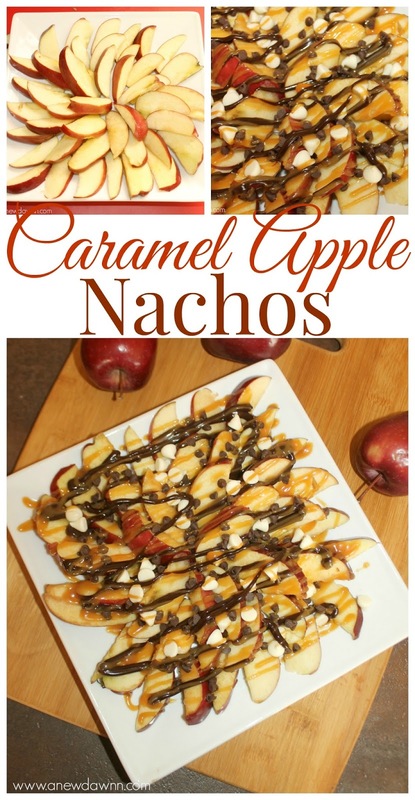 What I love most about this Caramel Apple Nachos recipe was how easy it was to make. Plus the flavor combinations are endless. 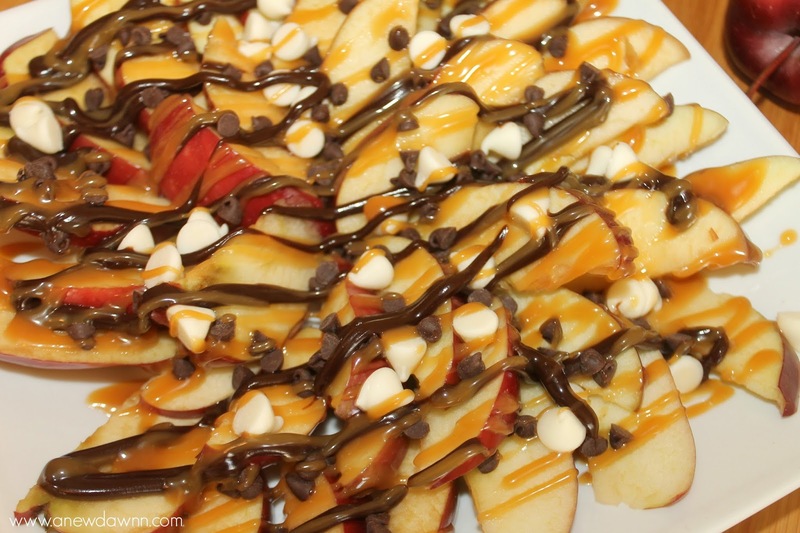 I kept our Caramel Apple Nachos pretty simple with just caramel sauce, chocolate drizzle and some mini chocolate chips but you could add chopped nuts, marshamallows anything your little sweet tooth desired and they’d still be delicious. I grabbed a few of our apples, sliced them up while my son grabbed the toppings. Here’s a little tip for you. 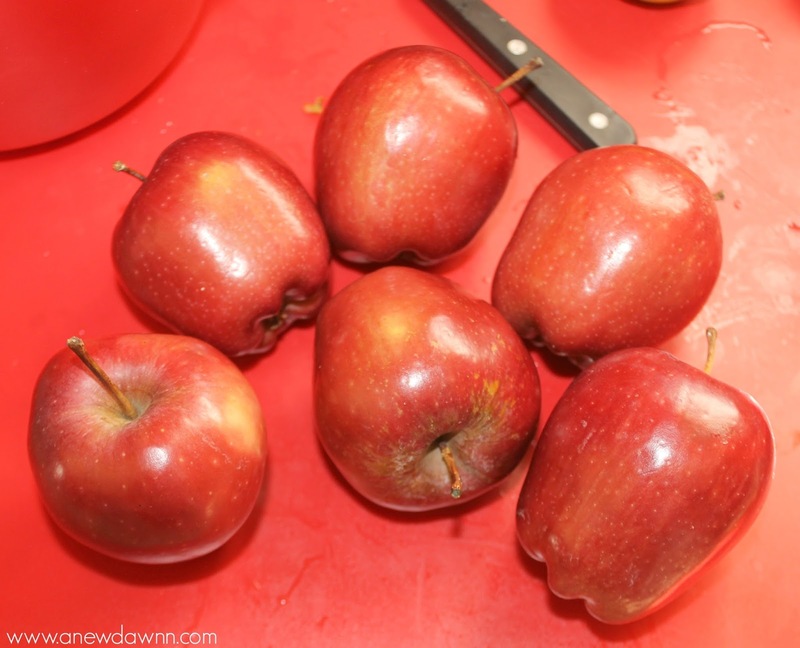 Once you slice the apples, place them in a bowl with one cup of water and one tablespoon of lemon (or lime since that’s all we had on hand) juice to keep them from browning. Once you’re ready to serve them, just drain and use a paper towel to dry off the excess liquid. 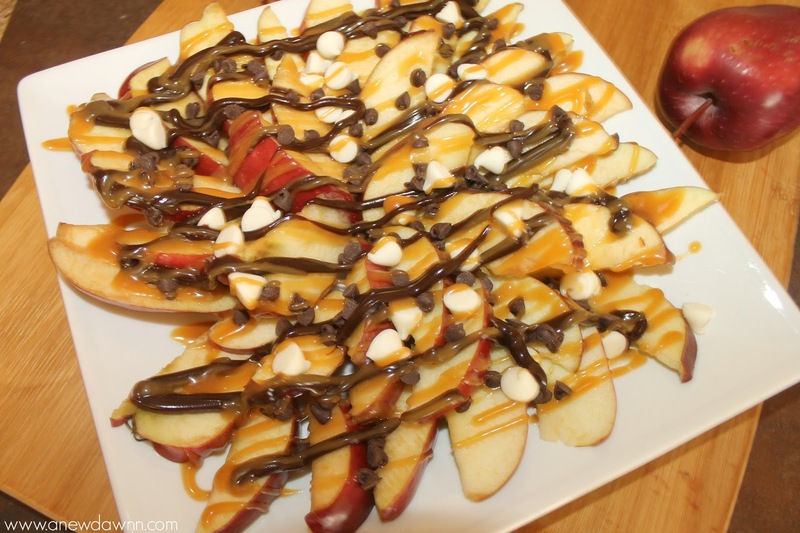 Arrange the apple slices on a plate and drizzle with plenty of rich, gooey caramel and your favorite toppings. 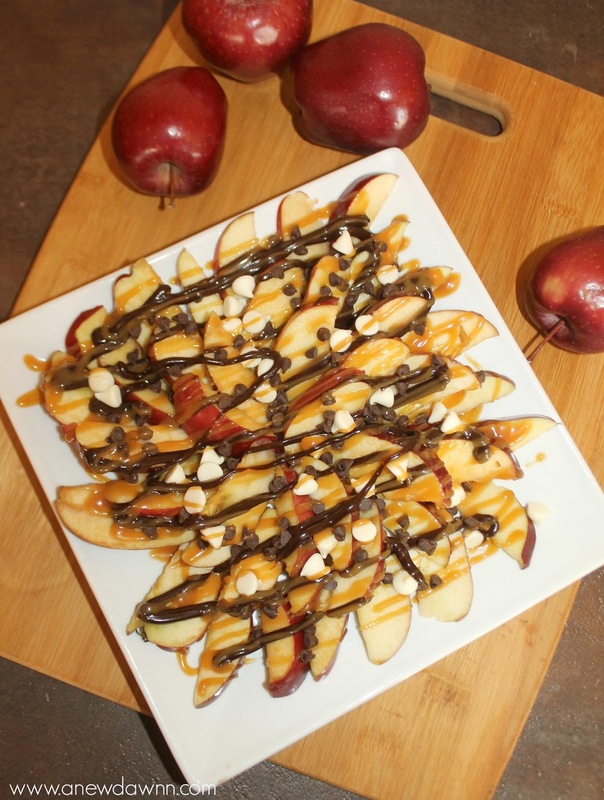 Serve these Caramel Apple Nachos immediately for a delicious fall treat. Step 1: In a large bowl mix water and lemon/lime juice. Set aside. 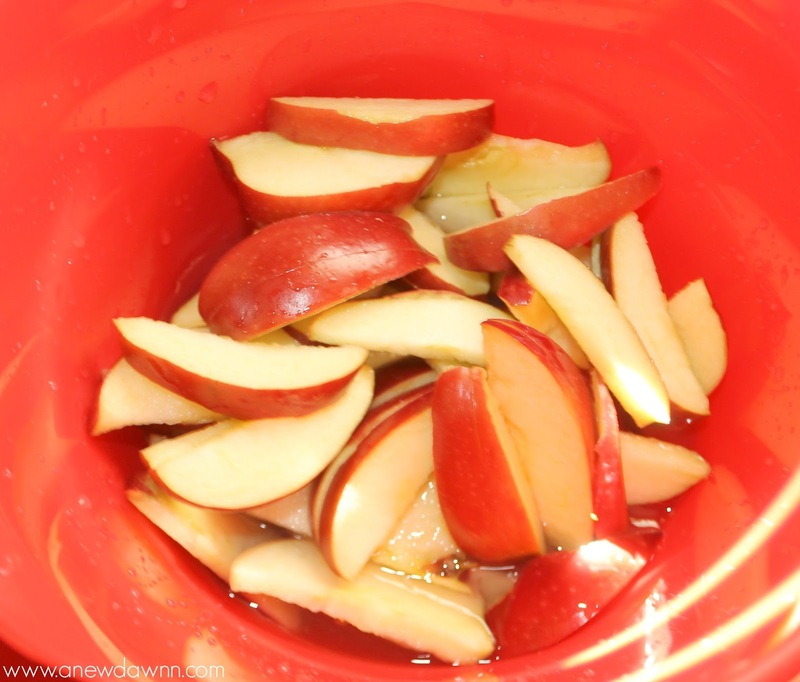 Step 2: Slice apples and place in water mixture. Once all apples are sliced and have been placed in water. Drain and towel dry. Step 3: Arrange apple slices on serving plate. Step 4: Drizzle with caramel and chocolate sauce. 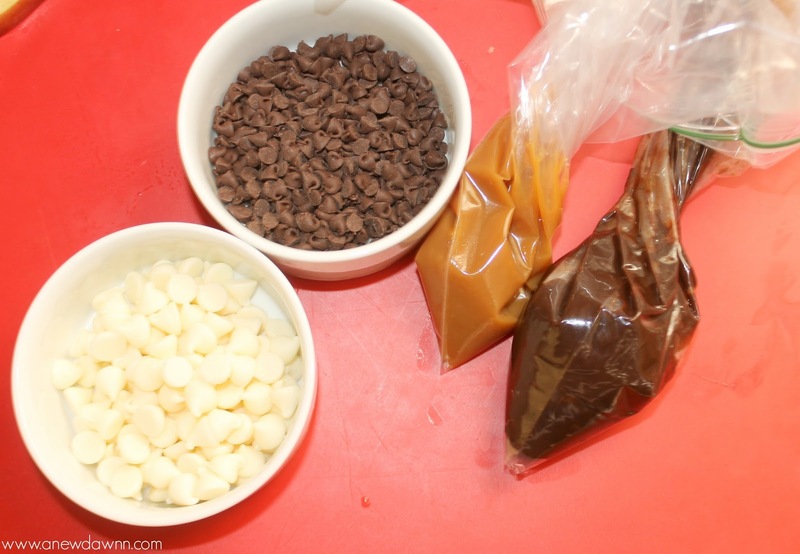 Sprinkle 1/4 each(or more if you like) of the mini chocolate chips and white chocolate chips. Serve immediately with some extra caramel sauce on the side. Like this recipe? Be sure to Pin It for later! How do you like your caramel apples?